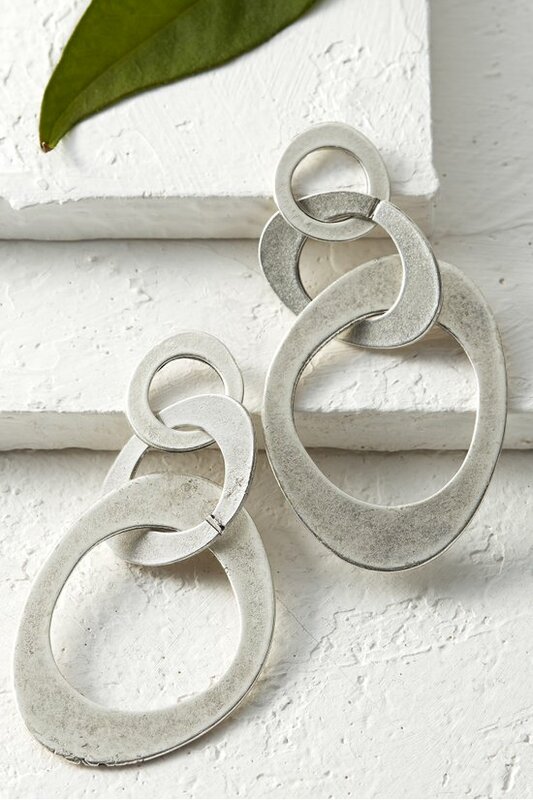 Handcrafted of interlocking rings cast in organic shapes, these fascinating earrings offer the soft luster and lightness of pewter. An antique finish adds texture and edge. Due to state regulations, this product is not available for sale, shipment or delivery in California.